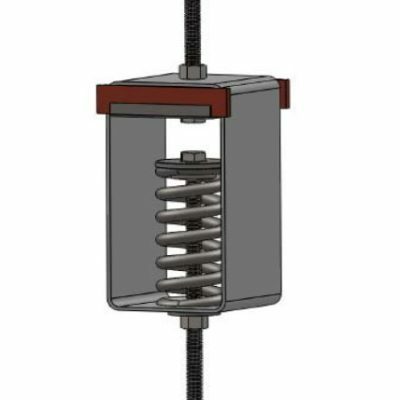 Antivibration hangers can be used in a wide range of vibration isolation applications. 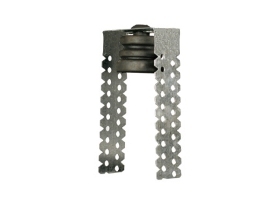 Our company has developed several different types of antivibration hangers to fit all types of project applications. 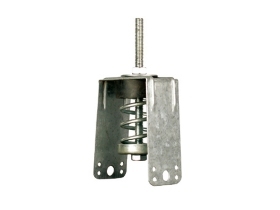 Our vibration isolation hangers are primarily seperated in 3 categories. For more information and a free of charge technical selection of the most appropriate antivibration hanger for your project, do not hesitate to contact our technical department. 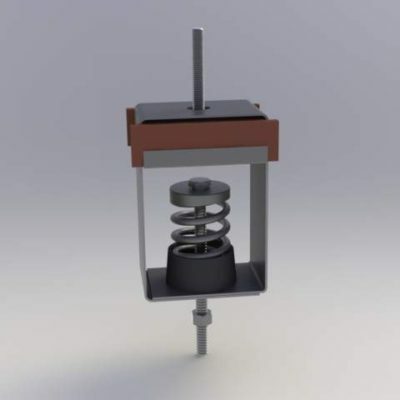 ALPHA ACOUSTIKI LTD has been utilizing BSW Regufoam technology to create a unique series of vibration control isolators. 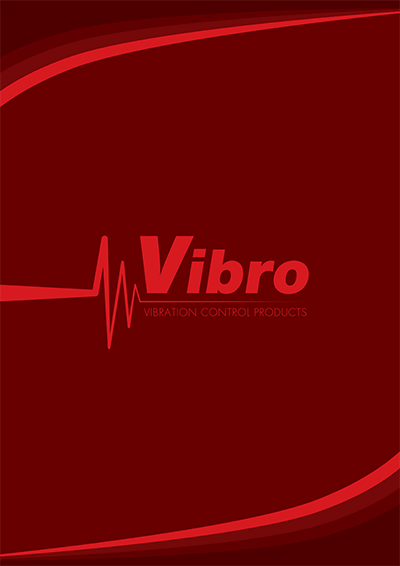 That includes anti-vibration hangers, antivibration mounts and multidirectional vibration isolators VIBRO 3D. Regufoam is a mixed cell polyurethane elastomeric which present has very low natural frequency in the corresponding load ranges, making an optimum vibration control material. 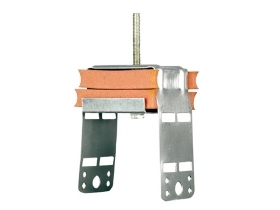 Combining the above Regufoam characteristics with the pioneer R&D knowledge of ALPHA ACOUSTIKI in vibration control created a new range of excellent quality vibration isolation mounts and hangers. 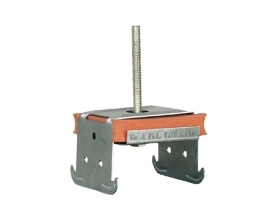 Rubber hangers are primarily used for vibration isolation in: - Suspended gypsum board ceilings in studios, auditoriums, cinemas etc. 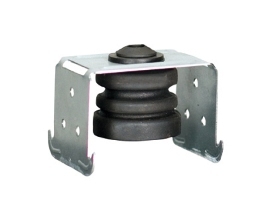 Specifically used in “room in room” constructions when floating anti vibration ceiling with rubber hanger is required. 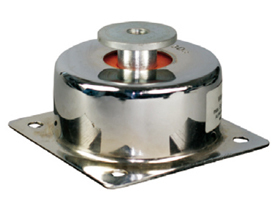 - Antivibration machine hanging in industrial applications. - Vibration suspension of HVAC (pipeworks, airducts, air-conditioning units exhaust systems etc). 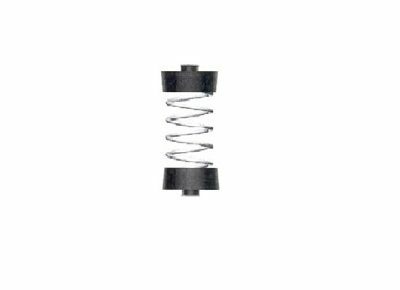 Spring hangers with very low natural frequency value are primarily used for vibration absorption in a wide range of building and industrial applications. For improved results combination of steel springs and rubber elements is applied to achieve optimum performance. Suspended ceilings for floating drywall ceiling in studios, auditoriums, cinemas etc. 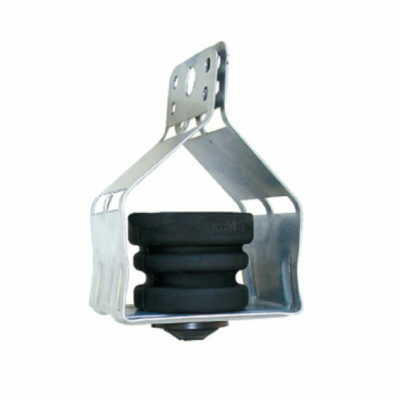 Specifically used in “room in room” constructions when floating ceiling with spring isolator is required. 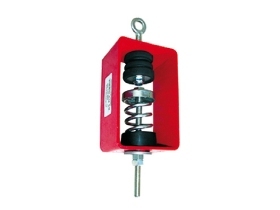 Antivibration machine hanging in industrial projects. Vibration suspension of HVAC ( pipeworks, airducts, air-conditioning units exhaust systems etc).